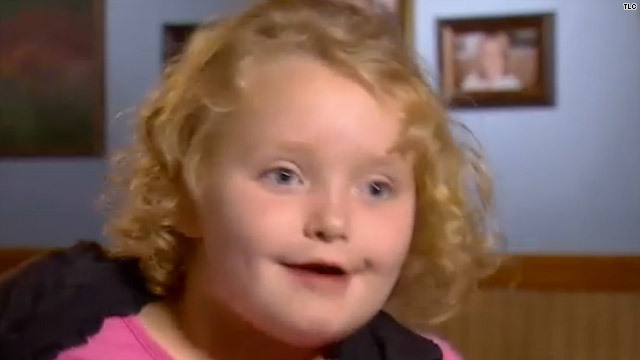 Here Comes Honey Boo Boo is a fun, lighthearted show. But being that it's a reality show, there's reality behind the fun stuff. Today, we learned that Alana Thompson's Uncle Poodle is gay and is HIV Positive, and he wants to share his story. Lee Thompson, otherwise known as Uncle Poodle on Here Comes Honey Boo Boo, wants to share his story, and with good reason. He wants to share what it's like to be gay in the south, and use his celebrity status to raise awareness of situations like his own. I imagine that he faces challenges on a daily basis, and if his story can help others, I think he should be given the chance to share it on TV. Lee's story is a sad one - his boyfriend knowingly transmitted HIV to him by not disclosing his HIV-positive status and not taking medication while engaging in relations with Mr. Thompson. While Uncle Poodle's story is sure to not be light-hearted and fluffy like Honey Boo Boo's, he deserves the chance to help others on television. If his situation can help one person struggling with their sexuality or living with HIV, then he's done a wonderful thing. We can learn a lot from Lee Thompson - he's taking a big risk by sharing this personal information with us, but he's doing a wonderful thing by sharing his story to help others.